Separate Tables was a West End and Broadway success and then adapted by Rattigan and John Gay into a major Hollywood film. The play ? or rather two plays ? reveals the personal trials of a group of distinct people, all of whom reside at the Hotel Beauregard in Bournemouth, England. Major Pollock is a garrulous man who speaks of nothing but his stellar war record. 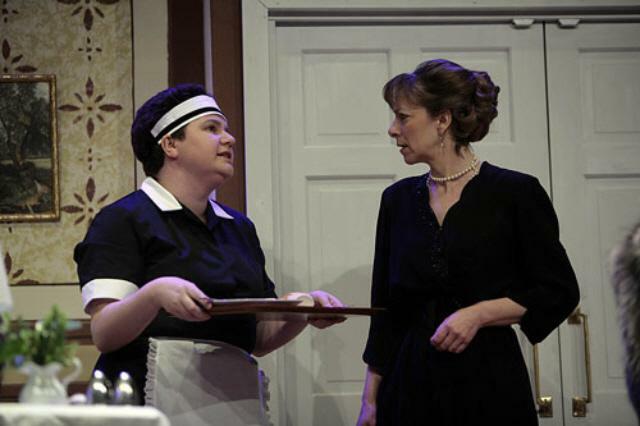 Sybil Railton-Bell, the meek, introverted daughter of the high-minded Mrs. Railton-Bell, has developed a great affection for him, much to her mother?s displeasure. 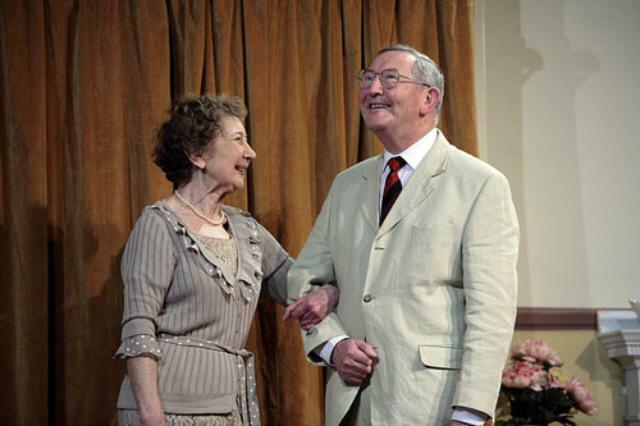 Another resident is writer and former Labour politician John Malcolm, whose estranged ex-wife ? a beautiful, but vain and self-centered former fashion model ? arrives unexpectedly at the hotel. The scene is set for Rattigan?s masterpiece of theatre to unfold. PLEASE BE ADVISED THAT THIS PERFORMANCE INVOLVES THE SMOKING OF CIGARETTES IN ACT 1 SCENE 2 BY ROS GREENWOOD PLAYING THE PART OF ANNE SHANKLAND FOR THE PURPOSE OF ARTISTIC INTEGRITY. 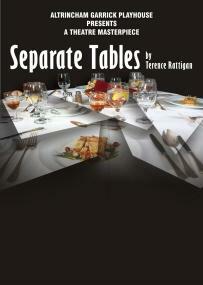 Separate Tables?is certainly an issues based tale. 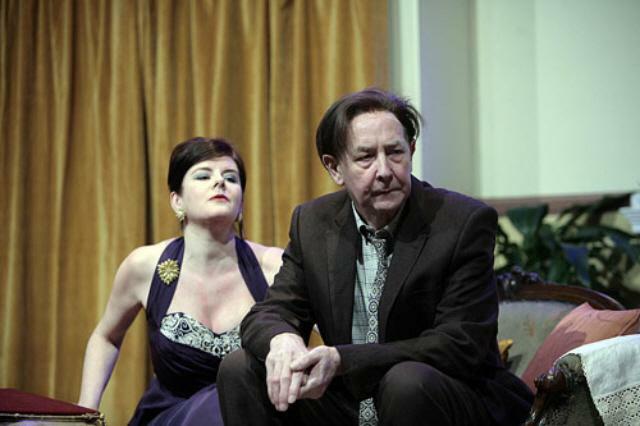 From loneliness to the creation of well-constructed facades and the discrepancy between rumour and reality Terence Rattigan did not pull any punches when disecting human nature. And while he may have written his now well travelled play in the late 50s, its messages served to be equally applicable when brought out on the stage of the Garrick Theatre tonight. Set in the Fawlty Towers-esque Beauregard Private Hotel in Bournemouth,?Separate Tables?concentrates on the lives and interactions of a number of long term residents. 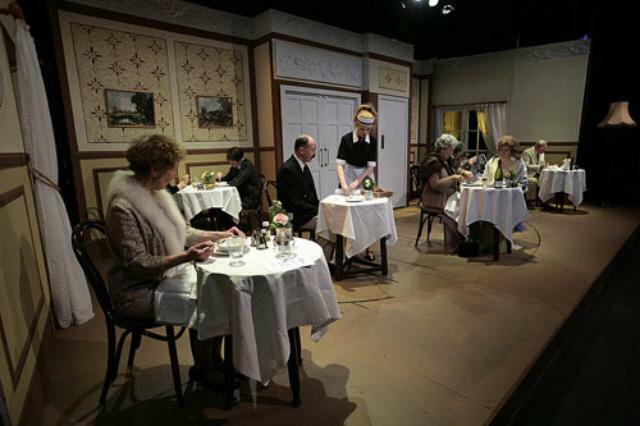 As the play's title suggests, the eclectic bunch largely choose to dine alone but the relationships are, it is gradually revealed, far more complicated and interconnected. David Reynolds deserves particular mention for his turns as both the not-what-he-seems Major Pollock and the drunk-with-a-back-story John Malcolm. 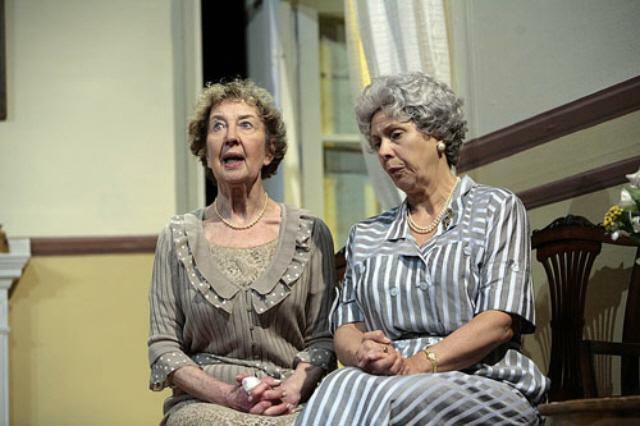 Carole Carr's gossip queen Mrs Railton Bell and Maureen Casket's timid Lady Matheson also make for good characters. Admittedly it is not the fastest moving of performances and there are the occasional lulls but it does pick up pace and interest as it goes along. And then there are the sets. All I will say is they received their own gasps and wows from the audience. I'd hate to ruin the surprise!